In September 2017, the Atlantic basin was ensnared in one of the most active hurricane seasons of all time. With wind speeds of 185 miles per hour, Irma was the strongest hurricane ever recorded in the Atlantic. This one storm produced as much cyclone energy as is considered “normal” for an entire Atlantic hurricane season. Irma ravaged the Caribbean Islands just one week after Hurricane Harvey hit the southeastern United States. Hurricanes José, Katia, and Maria followed, leaving a trail of destruction in their wake with more to come. By some estimates, the damage of Harvey and Maria alone totaled US$215 billion. As if this wasn’t bad enough, the climate disasters of 2017 were not limited to the North Atlantic. Heavy downpours in Western Africa and an abnormally strong monsoon season in India and Bangladesh killed thousands of people and destroyed infrastructure and economies. Likewise, heavy rains caused floods, landslides and deaths in Peru, Columbia, Sri Lanka, China, and elsewhere. With the increasing regularity of climate disasters — and with related costs quadrupling in the past 30 years — governments are beginning to prioritize disaster risk reduction and climate change adaptation. Many countries already promote risk management measures, like using hurricane-straps to prevent roofs from flying off, and building dykes to minimise tidal flooding and coastal storm surge. But while these measures can reduce part of the risk posed by extreme weather events, superstorms like Irma show they are not enough. Not all damage can be avoided. As such, we must look to solutions to cover the risks to which we cannot adapt. Climate risk insurance offers one such solution. Some Caribbean countries affected by Irma bought an insurance policy with CCRIF SPC (the former Caribbean Catastrophe Risk Insurance Facility). CCRIF announced on 7 September, the day the storm hit, that a payout of US $15.6 million would be made to the governments of Antigua & Barbuda, Anguilla and St. Kitts & Nevis to cover damages. The payouts were to be made not more than 14 days after the storm hit — as mandated by CCRIF’s guidelines. While these payouts are not nearly enough to cover all storm reparations, the example still illustrates that tailored insurance coverage can provide much-needed funds, and quickly. The payout mechanism is triggered by objective catastrophe models (data from the National Hurricane Center in this case), which avoids delays caused by uncoordinated responses in the aftermath of many major catastrophes. Studies show that economies with high (private) insurance coverage bounce back quicker to pre-disaster development once hit by earthquakes, storms or floods. But before we look to climate insurance as a panacea for disaster recovery, we must understand its strengths, and its limitations. Research from the United Nations University finds that while climate insurance offers a compelling solution to increased climate disasters, three things must be considered in its implementation. First, events like Irma help gauge our preparedness for superstorms and help us better understand who is the most affected by them. Research shows that poor people are the most exposed to — and least protected from — climate risks, and affordable risk-based insurance premiums remain a major challenge. To make insurance an affordable solution, the product can be subsidized by governments or other donors. Regional risk pools can also protect the poorest and most vulnerable. Those who still struggle to afford a premium could pay for coverage through an insurance for assets scheme, where they would be awarded a premium in exchange for taking part in risk reduction activities, like building flood defenses in their own communities. Bottom line, climate insurance schemes must be designed to meet the needs of all socio-economic classes. Second, climate insurance schemes must be tailored to local needs and conditions, both in terms of the potential types of climatic risks, and the needs and economic abilities of potential clients. With the local context in mind, a properly designed scheme can give incentives for risk reduction by rewarding clients for taking positive action. Higher premiums can discourage people from living in areas that are at heightened risk of flooding or landslides, or encourage them to take preventive measures, reducing their levels of vulnerability over the long term. Third, climate insurance is not a stand-alone solution. It can only reach its full potential if complemented by other risk management measures and integrated into a wider risk management framework including risk reduction and preparation. The key is to reduce and avoid as much risk as possible first, then use insurance to cover only what cannot be prevented or adapted to. Climate change is set to intensify and drive an increase in all categories of meteorological hazards — storms, droughts and floods. 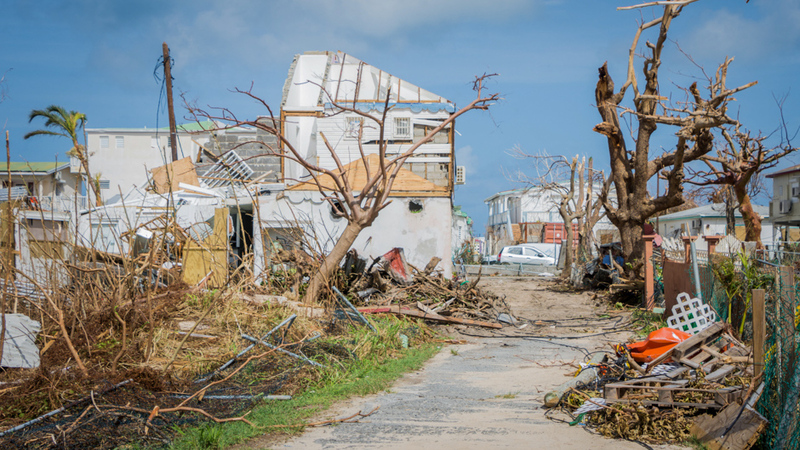 The 2017 hurricane season was a strong reminder that governments, businesses and individuals must boost their preventative risk management activities, while also designing climate insurance approaches for protection when nature’s harm cannot be avoided. Together, these measures will give us the best chance to adapt to, and survive, a future of superstorms.